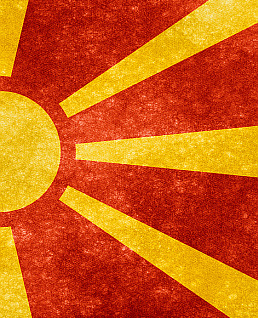 The parliamentary elections in Macedonia resulted in an almost even split within the two major ethnic groups. Why this is encouraging - a commentary by Vladimir Gligorov. photo: Nicholas Raymond, CC BY 2.0. Votes cast and counted, provisionally, pending the resolution on the complaints, the electorate reached a split decision. On the side of the ethnic Macedonians and smaller minorities, VMRO, the party that has been in government for about ten years, with its (small) coalition partners, stands to have 51 seats in the parliament, while the Social-Democrats, with their (small) coalition partners, will have 49 seats. If some of the contested votes are redistributed, that could be precisely 50:50, but the split is practically as sharp as that already, with the difference in vote being very small. On the Albanian side, DUI, the party in government for almost 15 years now, will have 10 seats in the parliament, which is as many as the three other Albanian parties will also have (though they got not insignificantly more votes). There are still 3 diaspora members of parliament, who usually go for the VMRO. So, there is an almost even split within the two major ethnic groups. That is encouraging because it suggests that democratic reasons, the interest to change the government, are more important than ethnic ones. In addition, by some accounts, a not insignificant number of Albanians voted for the Social-Democrats. Apparently that was the case in the western, majority-Albanian region, where usually Social-Democrats do not do all that well. Thus, the electorate voted for stability with change. For change, clearly for the following reasons. First, the governing parties had huge advantages well beyond those that usually go with incumbency. The opposition had limited access to the media. They faced scarcity of resources. And had to accept to stand in these early elections even though the most important conditions agreed on in advance were not fulfilled (e.g. criminal investigations of government officials). Second, at least on the ethnic Macedonian side, the opposition, the coalition around the Social-Democrats, was arguing for democracy and good governance, while VMRO was arguing for national interests and for more of the same. Indeed, in the final days of the campaign, they accused the Social-Democrats of betraying Macedonian ethnic interests by arguing for increased multiculturalism. Finally, third, there was practically no foreign support for the opposition Social-Democrats while the Austrian Foreign Minister, Sebastian Kurz, and some other representatives of European conservative parties supported VMRO by attending their campaigns, i.e. appearing and speaking at their rallies. So, polling even against such odds is a vote for change. Similarly on the Albanian side. DUI has been arguing for unity of Albanian votes with the argument that this is the way to maximise their, Albanian and by implication DUI, presence in the parliament. This is stronger as a nationalistic slogan than as electoral arithmetic. There is practically no chance that a government would be formed without participation by an Albanian party. So, the issue is, as it should be, do the Albanians as well as ethnic Macedonians have the democratic capacity, can they vote down the party or parties who argue that they represent their ethnic interests exclusively? In these elections, democratic interests were at least as important, and arguably more important, than the national, or ethnic ones. Why did the governing parties still do as well as they did? The reason is mainly concern with stability. VMRO and DUI have been in government for quite long and bear the responsibility for the deterioration of democratic decision-making and of the rule of law. In addition, whatever is anyway known by practically everybody in the country, let that call summarily widespread corruption, was exposed publicly and that led to the political crisis and to these early elections. The public, however, has been concerned with stability since the country gained independence. Thus, change needs to come gradually. Which is where, for one, the European Union comes in, and for another, the future parliament and government have to take notice of the will of the people. The EU reaction was to call for a speedy formation of the new government and for an active opposition. The aim, the EU says, should be reforms. This misreads the election results. So, let us look at the will of the people. It indeed has expressed the preference for political normalisation, but not for bygones to be bygones. The results of the elections do not put aside the need to determine the responsibility for the allegations of corruption and other criminal behaviour which led to early elections to begin with. In their early reactions, the VMRO leaders and spokespersons argued that all these concerns with violations of rule of law and democratic procedures, allegedly perpetrated by them and their coalition partners, were an unnecessary detour and distraction due to the unhealthy political ambition of the opposition. So, for them, no change in the way the country is governed is needed. This clearly is not the will of the people. Furthermore, in the last ten or so years, the government paid little or no attention to the opposition and also maintained a rather arrogant stance towards civil society. It favoured partisan over independent media, and this is before the more troubling issues of corruption and partisanship in administration and in public employment is considered. There is no support for such style of governing any more. There will have to be quite a different relationship between the government and the parliament. And civil society will have to get more freedom while the government will have to be more responsive to public criticisms and suggestions. More importantly, this political normalisation, which the EU is implicitly expecting, has to mean a return and commitment to legality and to democratic decision-making, which will strengthen political legitimacy and enable the usual change in government. The public has chosen to move gradually towards democratic change of government, requiring, in the first step, a return to legality and legitimacy. It is important to notice that the opposition is for the most part more pro-European than at least the VMRO has been. The EU and Greece in particular need to find a way to support stability in and democratisation of Macedonia. The European Commission and the Council of Ministers have once again recommended the start of negotiations, so they should indeed start. There are plenty of opportunities for the EU and for Greece to negotiate their differences with the Macedonian government and the public in the course of the accession negotiations. It is time that the EU asks not just what the Macedonian government can do for Macedonia, and in the case of refugees and Balkans stability for Europe, but what the EU can do to support stability and democracy in that country.